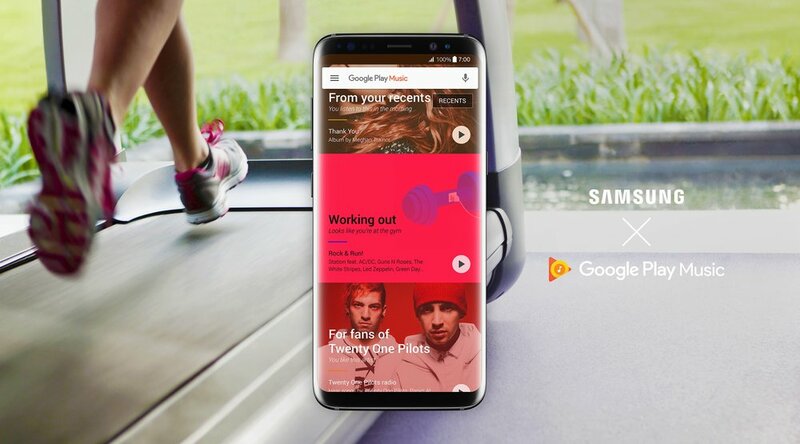 Google and Samsung on Friday announced a partnership that’ll make Google Play Music the default music player and music service on new Samsung handsets and tablets globally. It starts today with the launch of the Galaxy S8 and S8+. Elias Roman, Lead Product Manager at Google Play Music, said in announcing the partnership that those with a new Samsung device can now upload and stream up to 100,000 of their songs to the service absolutely free. That’s twice as much storage capacity exclusively for Samsung customers, we’re told, which should make it even easier for users to migrate their personal music collection to Google Play Music. It doesn’t end there, however, as new Samsung mobile devices will also come with a free three-month trial of the streaming service that offers ad-free, on-demand access to more than 40 million tracks and thousands of playlists curated for a variety of moods and occasions. A subscription also grants access to YouTube Red, the ad-free version of Google's popular video sharing service that launched in late 2015. Last but not least, Google Play Music will integrate seamlessly with Bixby when English language voice support arrives later this spring. Samsung launched its own streaming music service, called Milk Music, in early 2014 but shut it down back in September (probably because that name was so terrible, no?). Will Google’s partnership with Samsung sway your decision to pick up a Galaxy S8 or S8+ (or any other Samsung device on your radar) or is it just icing on the cake? Let us know what you think in the comments section below.